Established in 1995, Joe’s Movement Emporium is a cultural arts hub that acts as a catalyst for creativity and economic opportunity. Based in Mount Rainier, Maryland in the Prince George’s Gateway Arts District, Joe’s serves more than 70,000 visitors annually. Joe’s offers a wide variety of high quality programming in the arts to celebrate the creativity of our young people, particularly those from underserved communities. Current major youth education initiatives at Joe’s Movement Emporium include the CreativeWorks (workforce development program), Camp Joe’s (spring break and summer extended learning), Club Joe’s (after school arts program), Partnering Artists with Classroom Teachers (arts integration program), and The Ability Project (adaptive dance program for special education). Camp Joe’s and Club Joe’s are out-of-school time programs that engage youth throughout the year, benefiting the intellectual, personal, and social development of all students. Offered in a creative, vibrant, and supportive arts-based learning environment, youth learn team building, critical-thinking, and problem-solving skills while sharpening fine motor and cognitive abilities.For the past 18 years, the Partnering Artists with Classroom Teachers (PACT) program has been serving Pre-K to first grade students from Mount Rainier Elementary. The arts integration program features literacy and language units taught by a master early education dance specialist on site at Joe’s. 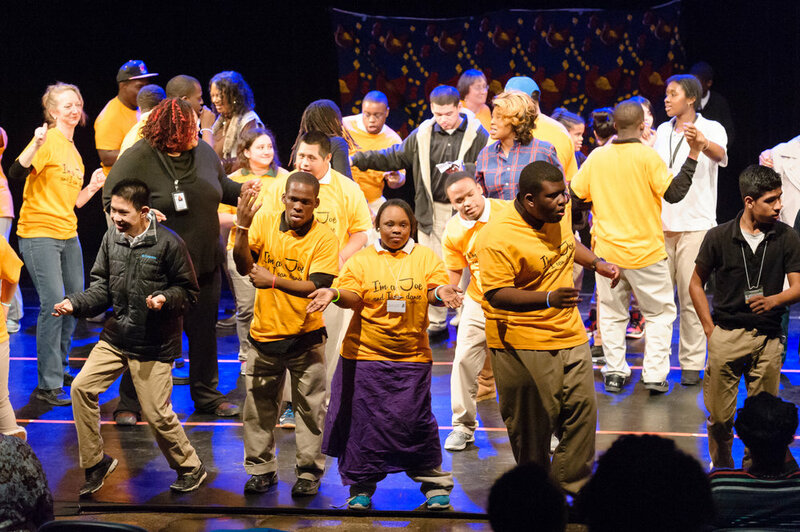 Lastly, The Ability Project provides dance instruction for high school special education students in Prince George’s County Public Schools (PGCPS) with 12 sessions that culminate in a performance. 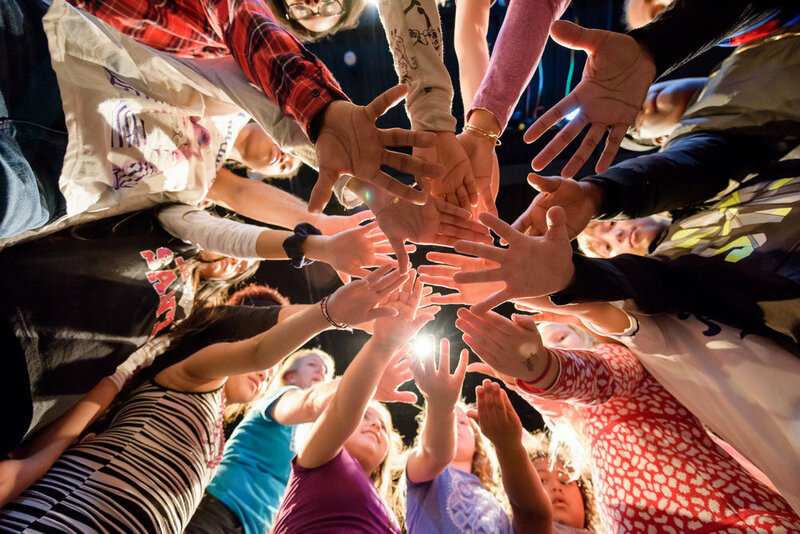 Through these artistic programs, Joe’s seeks to develop and support dynamic partnerships, inclusive networks, and innovative opportunities in the arts to encourage the development of resilience and ingenuity, as well as the critical-thinking, collaboration, and problem-solving skills young participants need for a successful future. Many artists and artist groups call Joe's home, utilizing Artist Services to provide them with affordable rehearsal and performance space throughout the year. Joe's houses an extensive roster of local artists contracted for special events and education programs. Joe's facility is a resource for community activity offering daily movement classes for all levels of movers, producing over 150 public events per year, and providing space and production support for important, large community events, such as the Mount Rainier Craft Fair or and the Mount Rainier- Gateway 5K. Twice a year, Stone Soup Films organizes 5 teams of filmmakers spend the weekend producing 5 documentaries for DC area nonprofits. Learn more here: http://www.stonesoupfilms.org/special-events/ Huge thanks to volunteers Alex Campbell, Christina Perez, and Celeste Caldwell who spend most of the day on Saturday, September 23rd capturing the essence of Joe's.